Europe needs new ideas and solutions to address the disparities in the care of preterm and ill babies. The European Standards of Care for Newborn Health project presents such a solution by providing European reference standards for this health care area. With its transdisciplinary focus and international composition of the working groups, the project sets new benchmarks for the care of preterm and newborn babies and can serve as a role model for countries in Europe and worldwide. About 220 experts from more than 30 countries accepted to dedicate their free time to work on this ambitious project over several years. At the time of the launch of the standards, 108 healthcare societies and associations as well as 50 parent organisations have accepted EFCNI’s invitation to officially support the newly developed standards. Through its multi-stakeholder approach, the perspective of parents, healthcare professionals, and relevant third parties were equally considered, aiming at identifying current best practice. Industry partners were involved in the project by supporting it financially. Their representatives could join the Chair Committee meetings in an observing role and they were welcome to share their knowledge and expertise without exerting influence. Initiated by patient (parent) representatives for patients, it is a true patient-centred project and, for the first time, patients were involved in absolutely every step in the development of the standards. All project participants work together in an open and respectful partnership to pave the way for change and set newborn health on the international and national agendas. On a political level, addressing European Standards of Care for Newborn Health will stimulate a new debate that can help questioning existing structures, identify gaps and deficiencies, and advance national healthcare systems. The UN Convention on the Rights of the Child has been ratified by 196 countries and proclaims that “the child, by reason of his physical and mental immaturity, needs special safeguards and care, including appropriate legal protection, before as well as after birth”. Article 6 affirms every child has the right to life, survival, and development. Furthermore, children have a right to be cared for by their parents and should not be separated from them, as far as possible (Articles 7 and 9). However, upholding the Rights of the Child in reality remains a major challenge. The European Standards of Care for Newborn Health help support these rights from the beginning of life by serving as a reference for the development and implementation of binding standards and guidelines on a national and international level. European and national policy makers, hospital administrators, insurers, professional and patient associations, and industry should work together to bring the standards into practice and to ensure quality, equity, and dignity for the smallest. The Call to Action is available in about 20 languages and can be downloaded here. The European Standards of Care for Newborn Health project has been awarded one of the most innovative “Landmarks 2017” of the initiative Germany – Land of Ideas. The launch of the standards developed within the European Standards of Care for Newborn Health project is continuously getting closer and we have taken another important step towards finalising the standards. From 25 to 27 February 2018, more than 30 experts from 16 countries gathered at the 5th and final Chair Committee Meeting of the European Standards of Care for Newborn Health project in Freising, Germany. In intense working session, different Chair Committee Groups discussed and firmed up the remaining 60 of the in total approximately 100 standards. The meeting also offered the opportunity to organise the launch of the standards which is scheduled for November 2018 and to prepare the implementation process. Moreover, every Topic Expert Group, responsible for one of the eleven neonatal and perinatal topics, got the chance to present their work of the past four years. 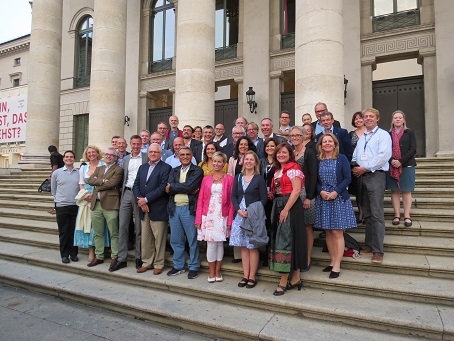 More than 40 experts from 17 countries formed a powerful international group at the 4th Chair Committee Meeting of the European Standards of Care for Newborn Health project from 21 to 23 May 2017 in Freising, Germany. In different working groups, they intensively discussed and finalised the first part of the submitted standards in 11 key areas of newborn health. 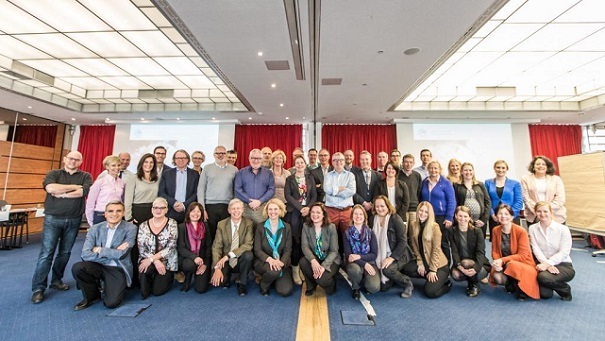 From 11 to 12 April 2016, the members of the Chair Committee of the European Standards of Care for Newborn Health project came together for the 3rd Chair Committee Meeting in Berlin. The focus of the meeting was the ongoing project work. To that aim, all Chair Teams presented the work of their Topic Expert Groups and all the participants were given a project review and outlook presentations by the EFCNI project team. 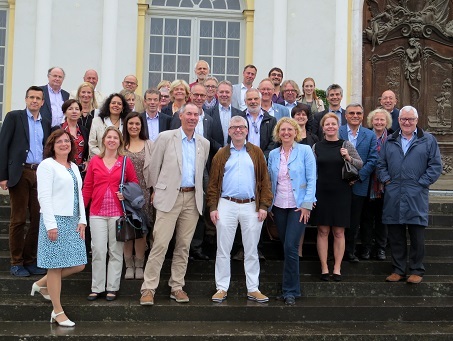 The 2nd Chair Committee meeting of the European Standards of Care for Newborn Health project took place from 15 to 16 June 2015 in Eching, Germany. 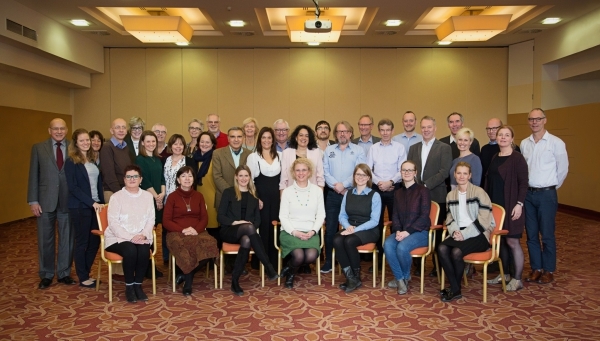 We are delighted that all members of EFCNI’s Parent Advisory Board as well as the Chairs and Vice Chairs of the project’s working groups could attend the meeting. During the two days of intense work, the project moved an important step forward. On 10 and 11 September 2014 we started our new project to draft European Standards of Care for Newborn Health. 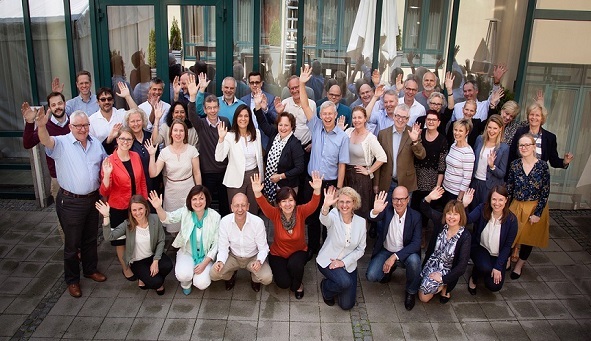 42 participants from all over Europe took part in a journey to enable every baby the best start in life. We are very happy and excited about the start of EFCNI’s European Standards of Care for Newborn Health project, EFCNI’s next milestone to tackle inequalities in newborn health in Europe. The official project start was on the occasion of the opening event of the Socks for Life art exhibition in the European Parliament in Brussels on 7 April 2014. Following the handover of European votes for the Call for Action by former preterm infants to Vice President of the European Parliament Rainer Wieland, the stakeholders present officially declared to collaboratively work on European-wide Standards of Care for Newborn Health. The need for harmonised standards and their development in a collaborative approach have been endorsed by many healthcare societies and parent organisations. All of them have visualised their support with their logo. Visitors of the exhibition could equally show their support through their signature. 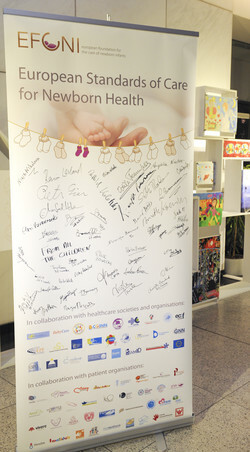 This collaborative project under the auspices of EFCNI will bring together health experts, professional societies, civil society organisations, representatives of national parent organisations, third party advisors and industry partners to develop harmonised standards for the care of preterm and newborn infants in Europe. The standards will cover all topics from care at birth, neonatal intensive care as well as follow-up and continuing care to ethical questions, education of neonatal health professionals, data collection and documentation. To this end, interdisciplinary Topic Expert Groups will be dedicated to one topic of newborn health. The standards will run through an extensive consultation process before being publically available online. We are confident that providing a set of expert-developed standards for newborn health will be an important step towards improving the quality of preterm and newborn care in Europe. This project will tie in directly with EFCNI’s previous work against inequalities in maternal and newborn health in Europe. In 2010, EFCNI published an EU Benchmarking Report ‘Too Little, Too Late’ to help capture for policy makers the impact of prematurity across Europe. This report painted a compelling picture of the differences that exist in levels of care when it comes to maternal and newborn health in Europe. It also began a reflection process amongst parents, medical professionals, academics and industry partners to move from an identification of the various provisions that EU Member States have made for newborn infants, to concrete proposals for improving the standards of care in Europe. The next milestone was the publication of the EFCNI White Paper on Maternal and Newborn Health in 2011. In this report, healthcare providers from different disciplines and professions as well as parents and professional societies were asked to provide their perspectives on challenges and evidence-based recommendations in the field of pre-conceptional, maternal, newborn care, follow-up and continuing care. As a result of these contributions, a set of key recommendations for each field were developed. The next logical step is the development of harmonised standards that will incorporate and expand on these key recommendations. This will be achieved by EFCNI’s European Standards of Care for Newborn Health project. The whole project is kindly supported by AbbVie, Baxter, Philips Avent, Philips, Shire and Nestlé Nutrition Institute.